I have some artwork in an exhibition in Dundee. 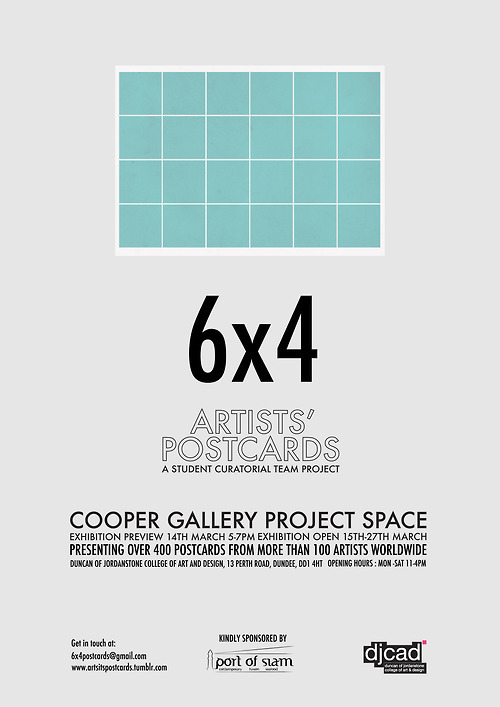 The exhibition involved creating some artwork on a postcard and is called 6*”4. This is something I have done before but for this exhibition I wanted to do something different. I created an illustrated poem called Leaves. The exhibition details can be found here. It is on at the Cooper Gallery, Duncan of Jordanstone College of Art & Design, 13 Perth Rd, Dundee, DD1 4HT until March 27. Details of the exhibition are below. I will post up my work later.